This piece was originally published in 2006 (link to article on archive.org). Video for Probability Distribution for the Sum of Two 6-sided Die created in 2014. Video for How to Play Street Dice: A Simplified Craps Game created in 2017. Every professional gambler has a graduation date that only arrives through years of turmoil experimenting with every type of game offered by a Casino. Most people will state the obvious, that every game in a casino is stacked in favor of the house. This, however, is only a partial truth based on playing a certain game for an infinite amount of time. It does not take into account the patterns that occur in every game over time. One of the oldest games in the world is Craps (Shooting Dice). It is one of the simplest games to play but probably the most complicated to bet, highlighting the most important rule in gambling: To optimize your chances of winning you must not only know how to play a game but also know how to bet a game. In Craps there are three elements that must be mastered: The rules of the game, how to shoot the dice, and how to place the bets. There are also two important concepts that must be understood: Every roll of the dice is a potential winner if the appropriate bet is placed, and the game will always end with a Seven at some point. Craps offers the best odds for any table game in a casino and if a play can be mastered it can be used to generate income. The most important aspect of the game is to recognize ones abilities and weaknesses. Once adequate controls have been put on a certain type of play then the game becomes more than just a crap-shoot, it actually turns into a form of divination and for short periods of time the range of numbers can be predicted. 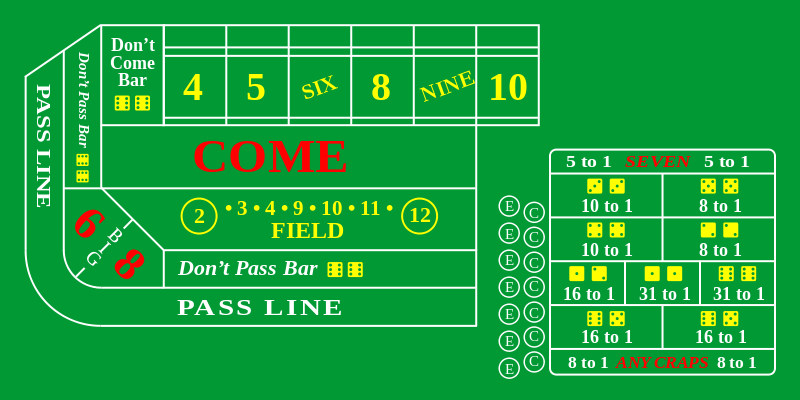 Contrary to popular belief, the rules in Craps are quite simple. The table can be broken down into three groups of numbers. The "Horn" consists of 2, 3, 11, and 12. The "Numbers" are 4, 5, 6, 8, 9, and 10. And "Seven" belongs to its own category. Riding either group can generate money. The trick is be patient and to pick a target. There are multiple ways to play all three groups, however it is extremely difficult to master the play for all three groups. The difficulty is not in knowing the rules, it’s in remaining focused enough to recognize the patterns that appear, and at the same time being consistent enough to place the appropriate bets to take advantage of the situation. On the first roll of the dice any number in the "Numbers" group will start the game. The number rolled is called the "Point". When the game is "On", rolling a "Seven" or the "Point" will end it. Direct bets on the "Numbers" are called "Wager" bets and remain active on the table until the game ends. The "Horn" numbers will only payout if a one-time bet has been placed on them. "Hard Ways" are any doubles excluding 2 and 12. The "Field" is a onetime bet which covers all the numbers that are at least 2 points away from the Seven excluding the 5 (covers everything except 5, 6, 7, and 8). "Lay" and "DC" bets will payout if a Seven rolls before a specific "Number". Money can be placed on any number, occurring in any combination, at any time. 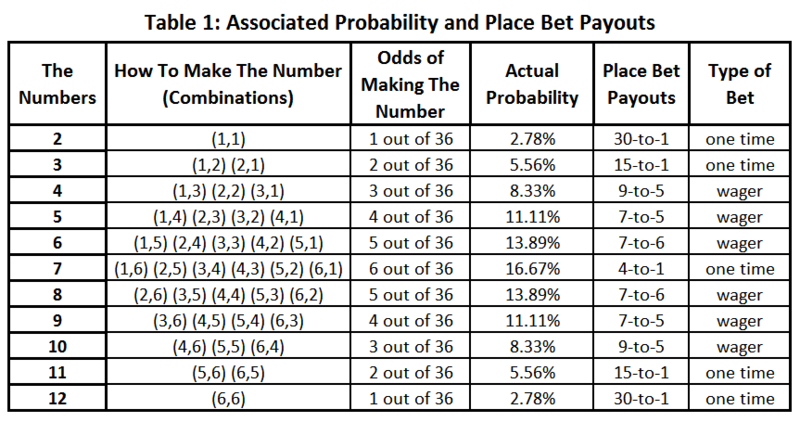 Table 1 lists all the possible outcomes with their appropriate probability and payout odds. One important property of rolling two dice is that no matter what the outcome on the first die, you can always make a Seven with the second die. This is not the case for the rest of the numbers and makes Seven the easiest number to roll. For example, if a 1 appears on the first die then the only possible total outcome with the second die is anywhere between 2 to Seven. If a 6 appears on the first die then the total outcome can only be from Seven to 12. The numbers and their possible outcomes are best represented as an approximate discrete normal distribution shown in Graph 1. The axis of symmetry for this plot occurs at Seven with the remaining ten numbers distributed symmetrically about this point. There are six possible combinations to rolling a Seven and each point away from this axis lowers the possible combinations by one. In this distribution the reflection of 6 is its "Sister" number 8, appearing on the other side in the graph about the axis. If you see 5 then its reflection is 9 and so forth. Seven reflects itself, giving it perfect symmetry. The total sum of a number and its "Sister" is always equal to fourteen. This symmetry of Seven goes beyond the actual probability, it has also been imbedded into the design of the dice. The numbers on each die are placed such that the addition of the front and back total Seven. For example if you are looking at a 6 on a die then on the back is the 1. If you see a 5 then on the back is the 2 and the reflection of 4 is 3. This symmetry is also prevalent in the total outcome of the dice. The total of two dice is always equal to fourteen when the front and back are added, mimicking the Sister relationship in the probability graph. This means that if you see a Seven then on the other side is also the Seven, again, giving it the property of being the only number with perfect symmetry. The best way to shoot dice is to consider it an art form and ‘Set’ them before the release. The basic premise of a proper throw is consistency. If the dice are Set and the throw is consistent then the probability of the same number appearing again is increased. If you are able to recognize a pattern, then placing the appropriate bets will give you an advantage over the house. Repetition of numbers is the key to making money in Craps. Even repeating a Seven or the Horn numbers can be used to generate income. Recognize the pattern and ride the wave that appears. Do not fall in love with specific numbers. If they are not being rolled then their probability of appearing is reduced if the shooter is a dice Setter. There are numerous theories on how to properly Set dice and a quick search online is the best place to research this topic. The main concepts are that the throw should be consistent without being violent, while the spin and bounce kept to a minimum. There is no specific Set, it is individually based and requires experimentation and practice. The best players in the world will have gone through numerous phases in their dice Sets and will change their style according to the feel and bounce of the table. The biggest mistake made by players in any game is maintaining the same amount on every bet. The best strategy is to increase your bet with your winnings. The first advantage is that you are now playing with the "House’s Money". The second advantage, which becomes more prevalent if the shooter Sets the dice, is that the same numbers repeat. The best way to understand this concept is to realize that no matter how many times a number has been rolled the predicted probability of it appearing again is always the same as the previous roll. There are two methods for a proper betting style. One is the "Press" and the other the "Parlay". The Press can be done in multiple units. For example, if $20 gets a hit on a place bet on the number 5 it will pay out $28. The player should then Press the 5. This means that from the win you will take a certain amount and increase your bet on this number. If you do a $10 Press then your bet will now be $30, $20 of which is your money and $10 will be from your winnings. Keep in mind that you have already taken off the table $18. So from the $30 placed on 5 you only have $2 from your original bet. If the 5 hits again then the payout will be $42. This means that from the original $20 bet, you have won $70 and still control $90. The "Parlay" is a more aggressive style where all the winnings are placed on the same number. The optimum betting system is dependent on the accuracy of the shooter. If the dice are being Set and the shooter is consistently rolling specific numbers then multiple presses on the same number will greatly increase your potential winnings. In general if the table is hot then two to three presses on a number will work to your advantage and will allow you to walk out of the casino with a multiple fold increase in your portfolio. Now that we have covered the basic logistics lets discuss the actual play. The most important element of the play is to remember that it will end at some point no matter how hot the table gets, so never be afraid to call off your bets or to reduce the amount of your wager. Since Craps is a very personal game there is no right style. Numerous techniques can be observed at any moment on a table. It is up to the individual how they will play the game and what they will risk; hence there is absolutely no way to create a full proof regiment for the masses. The only way to decide on a gambling style is to review and observe specific systems and to individualize it to cater to your needs and abilities. The only absolute property in shooting dice, which is beyond the realm of statistical probability, is that numbers appear in batches. Understanding this simple concept will give you an advantage over the house. To grasp this theory, visualize the probability plot shown in Graph 1 with a ball being attached to an elastic band, with the other end pinned down at Seven. The ball will deviate from the number Seven but will always return to this number at some point. The further away the ball deviates from this axis the more elastic energy it will have and the sharper and wider the deviation will become. This has the following effect; the extreme numbers will beget extreme numbers. 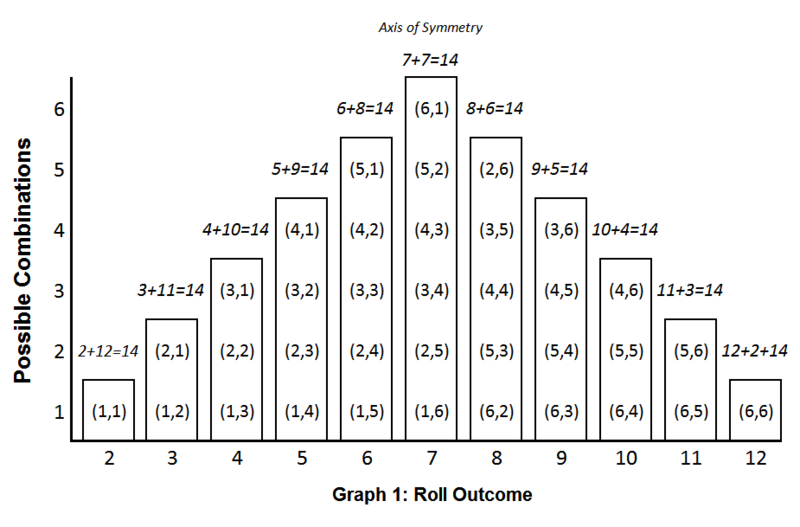 For example if a 12 is rolled then the probability of rolling a Horn number is increased. If the bounce is staying within the Numbers group then the deviation from the Seven is reduced and the outcome tends to remain within this region. I’ve named this ‘The Elastic Band Principle’ and it’s derived from simple observational theory obtained from years of experimentation in multiple dice games, specifically Craps and Backgammon. The basic premise is one that a child learns at an early age. One of the first lessons learned in life is not to pull too far on an elastic band because the band will break and sting you. This is also the case with dice. If the numbers appearing are on the extreme ends of the range then there is a good possibility that the band will break and a Seven will occur. If the deviation remains close to the Seven then the outcome tends to bounce around this region missing the actual Seven. The theory is as follows: To balance out the extremes in any situation, the situation has to be reset, and the reset button in Craps is the number Seven or the original Point. When this theory is applied and a pattern recognized, the table can be controlled for short periods of time. The true seduction of Craps is divination. It is the ability of being able to predict the next roll that is the real game at play. The prediction of the future has been a part of humanity for millennia, from bones rolled by Shaman, to the timeline of the Mayan calendar, to the different forms of the I Ching. It is our desire to know what the future holds and shooting dice is the prediction of the immediate future. Different forms of divination span different timelines. The I Ching, also known as "The Book of Changes", is the oldest book to have survived historical China. It has been used and continues to be used by hundreds of millions of people to predict and to direct the future. 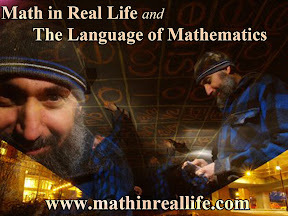 There are even mathematical theorems and specific programs available for the I Ching to chart the course of the immediate future through to the full extent of humanity. Craps can be viewed as a simplified version of the I Ching. It is a shortened form of divination, trying to predict the outcome of the next roll, seeking direction for just a few seconds into the future. When pattern recognition, defined as divination, is combined with ones abilities in shooting dice and betting the game then the probability of success is greatly increased. ‘The more you consult the I Ching, the more accurate will the answers be’ is the general belief among followers, and this idiom can easily be applied to Craps: The more you shoot dice, the more accurate your game will be. As mentioned above, numerous different styles can be observed at any given time on a Craps table. They could all be making money or all losing money indifferent of the style played. A specific play can attract action ranging from the high roller betting thousands of dollars to the sewer rat scraping the minimum bet off the table. Different plays attract different players from all social and economic circles. 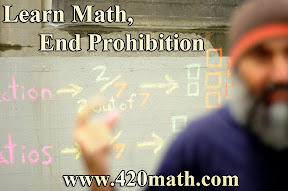 There is action that thrives on Seven and is disappointed when consecutive Numbers appear. There is action that rides every roll and seems disappointed when a Seven occurs. There are the plays that thrive on chaos and ride the extreme ends of the probability graph for short periods of time. There are the heavy 4 and 10 plays, the Big 6 and 8 bets, the Point Heavy players, the onetime Fielders, the Hard Way pressers, the Horn enthusiasts, and all kinds of combinations and mixtures of the above. Every style can make and lose money, and every style has its moment in the spotlight. My play begins with money management. I don’t hit the tables unless I have three consecutive days worth of float. I break up this float into three even piles and I partition each one of these piles into two stacks for my daily limit. The first stack gets approximately 40% of the daily float and the second stack 60%. By doing this I know that if I hit the second stack in the same day then I’m chasing a certain amount. Another advantage of breaking up the daily limit is that it slows down the play and allows for a gentle escape from the game if the dice are not cooperating. I have two different games; the conservative game rides three Numbers - one through the Pass Line, two through the Come Bet - with maximum odds taken, and an aggressive game which is outlined below. My basic aggressive play is as follows: When I bet the Numbers, I buy the 4 and 10 and place the inside for one or two units. If the point is an even number then I also bet it as a Hard Way. I press the inside at least two to three times and the 4 and 10 at least once. After the third hit I reduce the bet to the original units. I either ride the Numbers or the Horn and if I feel a Seven looming I turn off all my bets except for the Point and the Hard Ways. If I have to turn off my Wagers more than twice in a short period of time then I reduce my bets to one unit across and ride out the storm. If there are multiple triggers pointing towards a Seven then I take down all my Wagers. I prefer to have the table to myself or with a small group of people who know the game well. Optimum position for my play is straight-out giving me the full view of the table allowing me to keep track of all the action while giving me an uninterrupted view of the dice. When I’m shooting I set the dice with double 6’s facing up and place both dice together side by side, sometimes leaving a small gap between them, paring up the sides. I shoot the dice in a parabolic trajectory, following through with every roll, usually just touching the back wall legalizing the throw. I try to minimize the spin on the dice and preferably allow them to settle down on the table with a small bounce. I fully follow The Elastic Band Principle and the belief that numbers appear in batches. This means that if a Horn number appears I turn Off my Wager bets except for the Point. At the same time I bet the Horn for three rounds and place a bet in the Field. If the Horn gets a hit I do a full Press or a Parlay. If multiple Horn Numbers are hitting then I continue to Press for the next three rolls. For example, if an Eleven rolls, I turn Off my Wager bets and place a Horn-High Midnight (12). If a Horn number hits again, then I Press my original bet and continue to keep my Wager bets Off. Once Horn numbers have stopped hitting for two to three rolls I turn my Wager bets On and continue to ride the Numbers. If there has been an extremely high occurrence of the Horn numbers then I take down all my Wagers except for the Point. If the Numbers are continuously being interrupted by multiple occurrences of Seven then I change my game and Lay the 4 and 10 for a few rounds. If the return on these bets is adequate then I place some DC bets and ride this wave for a short period. I prefer to play the Numbers but Craps is more than just a game, it’s about making money, and if Seven is the pattern for the time, then there is no choice but to follow the flow. As stated above the difficulty in Craps is not the rules of the game, it’s the ability to recognize the pattern and be smart enough to place the appropriate bets. For this reason the following indicators will force me to turn Off my Wager bets: If the dice bounce off the table, if a Horn number appears, and if there is a serious mistake on the table forcing the game to slow down. It has been my experience that more often than not, the flow changes with any of these situations, and the occurrence of Seven increases. Have a long enough gap between visits to dissipate the memory of the last game before the new one begins. Never be in a rush; shooting dice is a time consuming activity so the best thing to do is to realize that the table will always be there, so there is no need to ride every roll. Put better controls on money management by breaking up the buy-in on the table into separate piles for each type of play - riding the Numbers, the Horn, the Field and if the table is cold, the Seven. So create four different piles for each type of bet and refuse to bet outside the limit for the specified float. The education obtained through gambling is multi-tier and begins from the first moment that a player realizes that there are patterns that occur in every game and if recognized can be used to one’s advantage. Shooting Dice is about finding a flow and riding the wave that pays. Do not get distracted if the game is going well, or poorly. Keep focused and do not venture outside your knowledge base or abilities. If the emotion required for you to play well is anger then seek it. If it is to beat the dice into submission then break them. If it is to completely focus on the dice and the outcome then visualize the number, and if it’s to make love to the table, caressing the dice, revealing their weakness, then exploit them. All games of chance have overlapping principles and the golden rule in the stock market also applies in Craps: do not fall in love with a stock or a company if you are a trader, and do not fall in love with a group of numbers or a specific number if you decide to shoot dice. This requires complete self-control and is probably the most difficult personal aspect of the game. The best Craps players in the world have one thing in common; they understand dice and recognize patterns. It is crucial to slow the game down long enough to recognize the pattern while at the same time keeping a flow to the game, optimizing your chances of winning. Enjoy the game and keep control of yourself and the table. If you have had a few nice hits then take some time off and enjoy the returns, the tables will always be there when you need another fix. Thanks for taking the time to make this site.